12th & 13th September, 2015. J.P. Naik Centre for Education and Development,Shubhamangal Karyalay Lane, Kothrud,Pune 411038. Adherence to Norms : Any student who fails to meet any stipulated norms will face disciplinary action which may include his/her term not being granted. In addition, he/she will not be allowed to participate in the Campus Recruitment Program. Identity Card : Students must carry their identity cards every day when on campus and produce it on demand by any authorities of the Institute. Attendance : The Students of DACC are expected to maintain a minimum of 75% attendance per semester per subject. At times, students will have to attend lectures, tutorials of other co-curricular/extra curricular activities. Dress Code : In order to develop a sense of belonging and inculcate discipline amongst the students, they are expected to strictly observe the dress code and always remain properly dressed at the campus. Slippers, Jeans,T-Shirts,etc are not allowed unless otherwise exempted on medical or any other reason. Students must wear DACC uniform from Monday to Friday.And will be allowed to wear T-shirts and jeans(casuals) only on Saturdays. A student failing to adhere to the dress code will not be allowed to attend the lectures and will face disciplinary action. 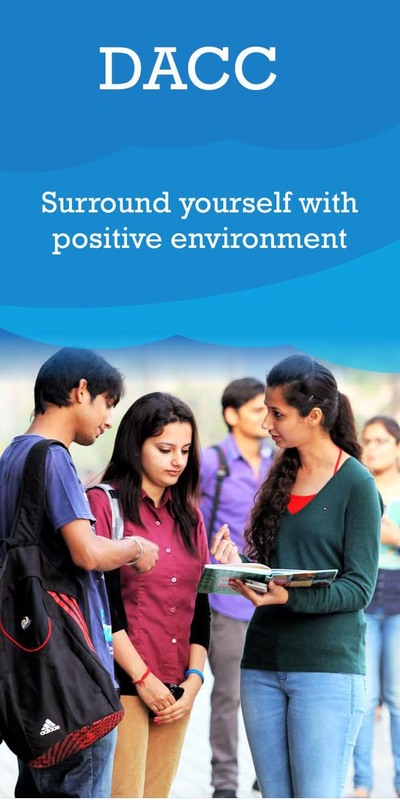 Misbehaviour, habitual late coming,disobedience,absenteeism,consumption of drugs, smoking, chewing of pan masala, alcohol in the premises,malpractices,cheating in the exam and such other unbecoming conduct of students will entail immediate cancellation of admission. Ragging of any sort is strictly prohibited and will be dealt with seriously as per the provisions of the Maharashtra Ragging Prohibition Act, 1999. Absence from tests/examination/tutorials and non/submission of assignments in time will make a student ineligible for internal assignment. No excuses will be entertained. Students should keep themselves updated with day to day activities of the college and abide by all orders/instructions put up on the notice board/website. Any kind of disrespect, discourtesy or disobedience of orders of staff, faculty and guests will be considered as an act of indiscipline. Causing any kind of loss/damaged to the college properties such as library books,periodicals,computers and other equipments, writing graffiti on the walls of the campus, benches or anywhere will tantamount to an act of indiscipline. Such acts will attract severe punishments and student will have to make good of the losses. The principal is empowered to impose fines for any kind of misconduct on the part of students as and when warranted and justified. The fines so collected will be utilized for student welfare activities. In case a candidate has a history of any medical disorder/ailments, the parents must inform in writing in detail about such illness and ensure that the student is in a position to attend classes/exams/other activities. Students must be present on first and last day of each and every term. Dnyansagar Arts & Commerce College(DACC) is affiliated to Savitribai Phule University of Pune and is approved by Government of Maharashtra. 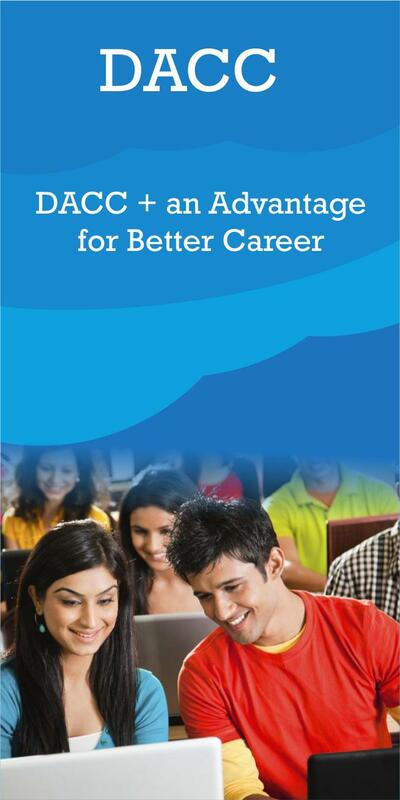 DACC has grown to become one of the most career promising institutes in Pune due to its dynamic and highly professional teaching techniques. 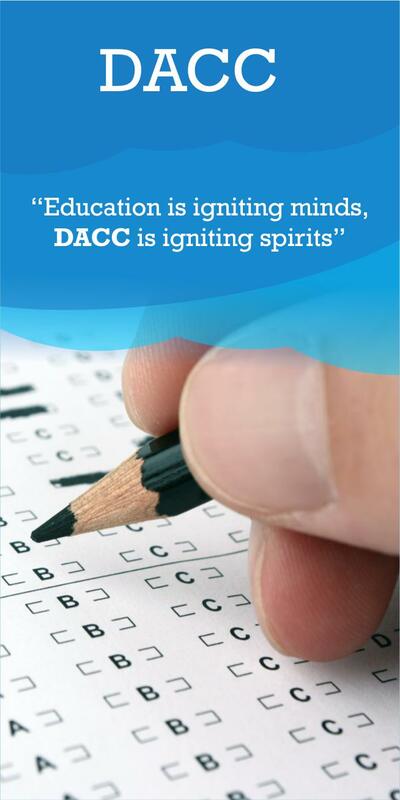 DACC is an exciting place to be at, as the institute always put their students at the focus of everything they do and also work hard to ensure that the students receive all the support, guidance and encouragement they need.